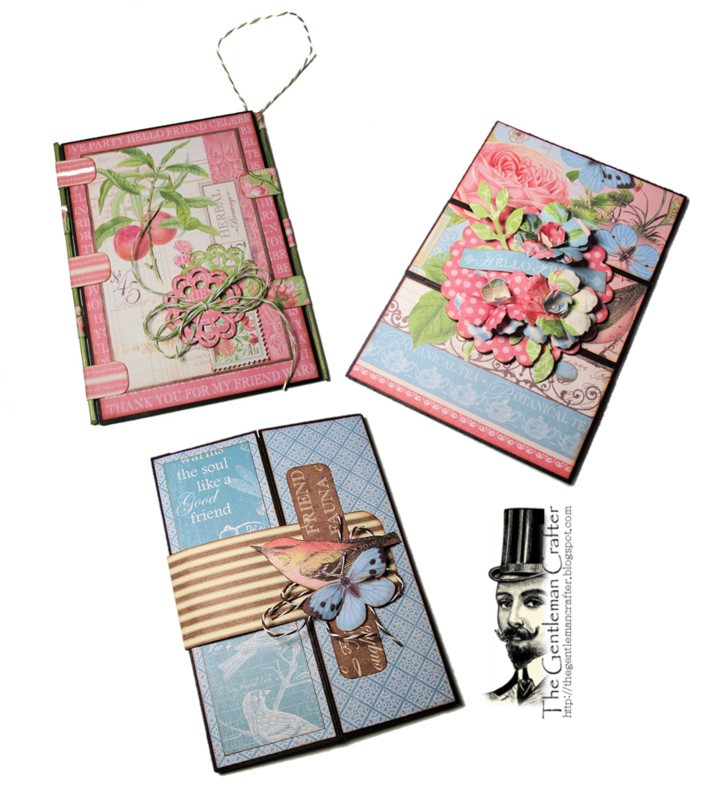 The Gentleman Crafter: New Tutorial Up! Three Crazy Cards...Done! I've been having a blast making cards lately for Graduations, Weddings and Thank Yous...You name it! In fact, I've had so much fun that I decided to write a tutorial on how to make three different cards in one tutorial and then teach how to make these CRAZY cards in Chicago last week. They were a hit! So, I decided to offer the tutorial in my Etsy shop. Have an Awesome Friday and a Wonderful Weekend! Gorgeous Jim. What inspiration with this beautiful paper.